As we approach the 15th anniversary of 9/11, that traumatic day that changed many lives, we can’t help but think about the effects it has/had on us and our business. We’re in the business of restoration, which not only entails repairing property, but most importantly, restoring the lives of those affected by a disaster. When a disaster occurs, we always place the needs of the customer first. Use the below as a reminder each time you accept a new loss (project). Sure, by appearance, the need is to repair the property damages incurred. Yet, sometimes, your service may expand further to the emotional and mental position of your customer(s), directly. 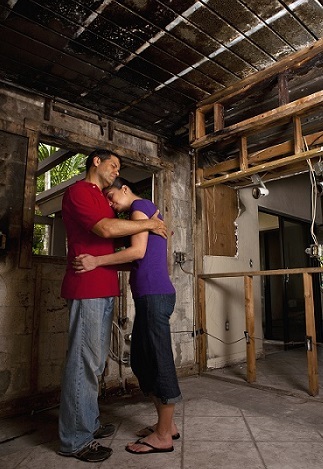 By simply restoring their property, the customer may be grateful, but may not remember you for future circumstances. In order to make the customer last, you should put him/her first. Get to know your customer(s). What are they experiencing; what kind of emotional tolls? Preparation is key in any event. It can reduce the extent of a loss, the costs and emotional tolls sustained, or even prevent one altogether. Take the time to inform your customers of the actions they can take to prevent another loss. If you see a glaring problem with their foundation or property, mention it and provide your suggestions for other preparation and safety methods. Remember, disasters can happen unexpectedly and can, within moments, change a person’s life. Your customer may be entirely unfamiliar with the situation at hand. So, be understanding when speaking to them about the restoration process, insurance claims, etc. Don’t get frustrated if you need to repeat something, or restate in a different way. It’s important to continue to communicate everything with your customer; just be patient.